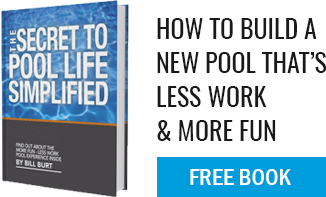 The cost of installing an inground gunite pool is as variable as the cost of a house. A basic, freeform (kidney or similar shaped) inground gunite pool will start in the low $30,000 range. Once the final shape and size has been determined, we calculate the price of our gunite pools based upon the area and the perimeter of the pool. Quite often there are some features that are “required” by the owner and the cost of these is added to the basic pool package (features like pebble interior finishes, attached spa, custom masonry stonework, etc.). Our highly trained in-house pool designers then educate the buyers as to what other features are available, what benefits those features offer, and what the newest and best technology available is. We allow the buyer to custom design their inground gunite pool so that it meets their needs and their budget. When comparing the cost of an inground gunite pool to that of a liner or fiberglass pool, one must make an apples-to-apples comparison. If we design a gunite pool with the exact same dimensions and features as a comparable high-quality liner or fiberglass pool, our inground gunite pool will be anywhere from ten percent to twenty percent more. A gunite pool will not cost significantly more when features are comparable and, even more important, the additional cost is recouped over time, as a gunite pool is less expensive to maintain. Aqua Pool’s à la carte menu allows you to pick and choose which features are the most important to you, eliminate features that are less important or that can easily be added later, and create the custom backyard dream pool you deserve. The best quality pool is a gunite pool. Most homeowners who do their homework and get the facts will understand and appreciate the value and strength of a gunite pool and why we can say without hesitation that it is the best quality pool on the market.